Another one to add to my Foundation Review Series, guys, and this is an exciting one! Sulwhasoo, for those of you who haven't heard of them, are a luxury Korean skincare brand who specialise in using ancient herbal medicinal ingredients in their skincare. They are the skincare of choice for anti-aging, and their products sell like crazy both within Korea and without. I had trialled more than my fair share of cushion foundations by the time I received this, and I honestly thought I'd experienced everything these types foundations had to offer. In this case, I'll admit, I was wrong. 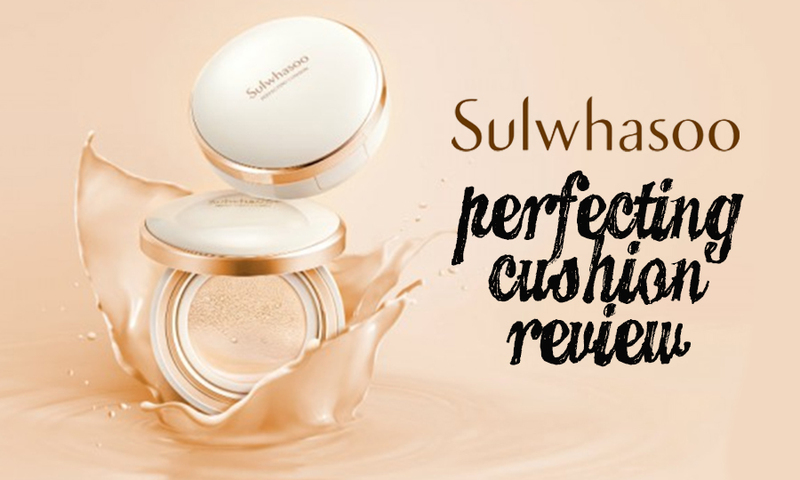 I'll tell you why in just a minute, but first, here's what Sulwhasoo says sets their Perfecting Cushion apart from the competition. It really does have amazing coverage - one of the best I've tried in cushion foundations. It covers most scars and blemishes without me needing to add extra concealer. Coverage is long-lasting - I don't need any touch ups but my makeup lasts well into the evening after work, and this is in humid, sweat-inducing weather! This is an entirely unretouched, straight-from-camera picture. 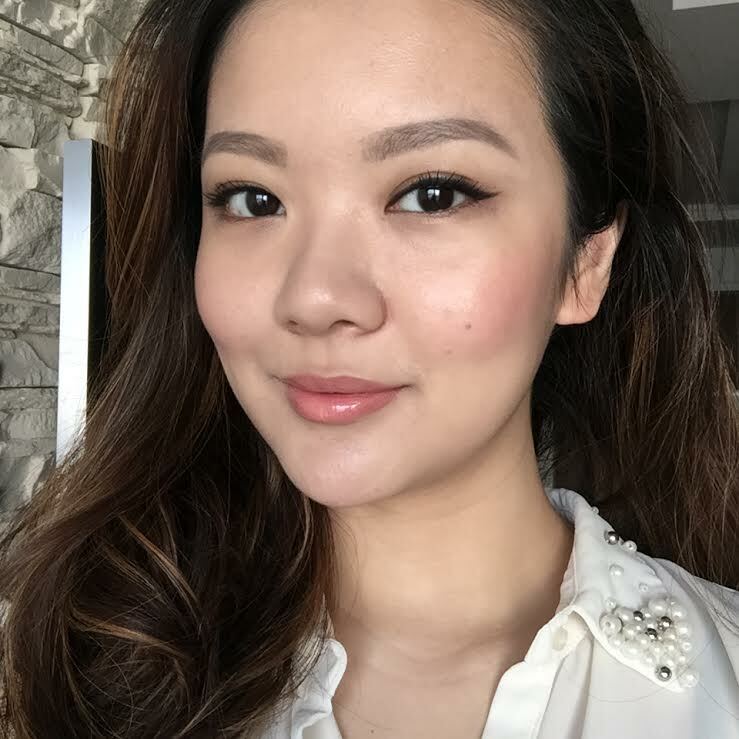 On my skin, I am wearing the Sulwhasoo Perfecting Cushion without any concealer, topped off with some (matte) blush on my cheeks. As with most Korean cushion foundations, this comes with an extra cushion refill, so you're getting two for the price of one. In general, cushion foundations aren't the most long-lasting in terms of the amount of foundation you're getting per cushion, but I find that Sulwhasoo's Perfecting Cushion holds the most product out of all my other cushion foundations. Their puff applicator is by far the best in the business. This thing applies foundation beautifully! I even use it to apply my undereye concealer, and I've found that it really helps reduce the likelihood of my undereye concealer creasing and settling into the fine lines under my eyes. LOVE this! Because of its glowy, hydrating finish, this foundation doesn't control oil very well (nor is it supposed to - the Koreans aren't big on controlling the dewiness of their foundations). In Malaysia, this is a bit of a problem. This is great to use in an air-conditioned environment, but if you plan on going out, it's best to bring a mattifying powder with you, along with the compact for touch-ups after. Even though this is advertised as being good for reducing the appearance wrinkles, it didn't do much for my undereye area. It still creases underneath the eyes, so I avoid applying it there and instead reach for a crease-resistant concealer, applied with Sulwhasoo's magic puff. Overall, I have to say I love this foundation - it's become my everyday go-to, and I'm hooked! If you'd like to try this gorgeous product out for yourself, Sulwhasoo retails at their counters in Suria KLCC, Pavilion, 1U, and Gurney Plaza. The Evenfair Perfecting Cushion retails at RM180 per compact (with 1 free refill).